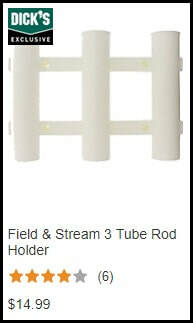 Triple Rod Holders can be purchased online or in store of most major retailers. Regardless of the brand the hole patterns on them are same. Click the on the pictures below to be redirected to various retailers. An 8 ft Floating Anchor Pole is one of the things I like to bring with me every time I take an Ultraskiff out. It's a triple utility because I use it for: 1. Anchoring the boat through the molded anchor pin slot on the bow. 2. Push poling through shallow water and 3. Leaving it in the pin slot in deeper water as a rotational stabilizer. Browse our Video gallery to watch our videos on this subject. You don't HAVE to have one, a regular mushroom anchor works fine, but for staying liquid and on the move it's a great tool that can also get you out of a jam. I personally own both of these brands and they are both excellent poles. 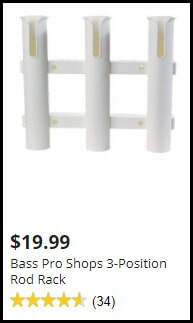 Most kayak stores carry them, visit www.yakgear.com or www.Yakattack.us to order direct from the manufacturer. ​to see it all. 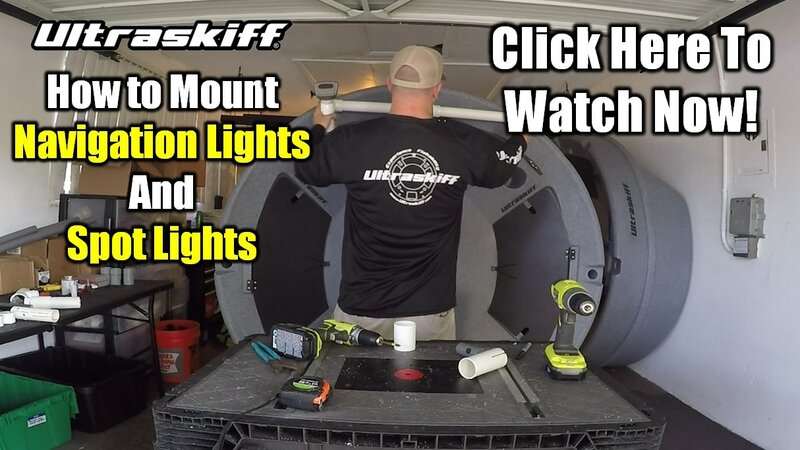 Below are links to the ball mounts that fit the Ultraskiff and a video link demonstrating installation and use. a 72" Patio Table Cover makes the perfect cover for the Ultraskiff. This company below (Dodge Covers/Empire Covers) makes the best quality round covers on the market. Click on the picture below to visit their store. They sell 5 different styles of covers in 72" and they all work great and are 100% waterproof. The higher end "Neverwet" cover we feel is the best one because it is the lightest yet still durable material, fold up very easily and does not wrinkle, crease or change it's shape. The other less expensive covers are thicker but they crease and wrinkle easily. We have tested nearly every brand of patio table cover so if you have a question reach out to us anytime. ​﻿This is a cool product I recently discovered. It improves tracking and helps a bit while drifting. I made a video of it in our accessory video gallery. Click on the picture below to purchase direct from the manufacturer. They also sell this on Walmart and Amazon. ​﻿When I want to bring Ice with me on a hot day I like to use an insulated soft cooler. The fit really nice in the compartments and are perfect for bringing food, drinks and also keeping your catch fresh and ready to filet when your done fishing. There are basically 3 levels of quality here. The inexpensive 1$ insulated grocery bags I get at Walmart in the Grocery Isle which are what I actually use to the ones that are more durable ranging from $15 up to $300. But in all seriousness, there isn't much of a difference in ice melt between them. If your Operating your Ultraskiff at night then you need navigation lights. The less wires the better which is why I opt for the battery powered nav lights, they are cheap and the LED's hardly use any battery power so with a few AAA's you have months if not years of use. For a spot light I use the Multi Function Sport light. I mount all of these using the standard 1.5" PVC you can see how I mount them in the video link below. You can buy both of these products at any Walmart. You can use any anchor with the Ultraskiff but I am partial to the mushroom anchors because of how compact they are. They sit nice under your chair and take up very little space if inside a compartment. If its not too windy you can drop them right under the boat without letting any extra line out and the boat will stay in one spot. I use a 10 Lb Mushroom in most cases but for more power in swift water or high winds look at a 12 or 15 Lber. Walmart has a huge selection of these small anchors. If you feel you need a safety net for peace of mind these small collapsible paddles fit nice inside our compartments and do the job in case of an emergency. 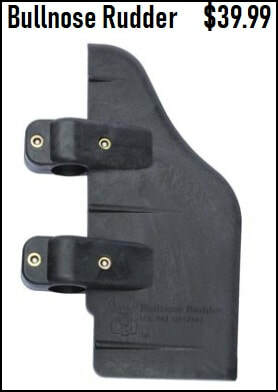 Most marine stores or any Walmart carry these paddles.